Nowadays, vitamin C is a very well-known skincare ingredient. Ask any beauty buff or skincare enthusiast, and it's likely they'll be able to recite the following...Vitamin C, when applied topically, brightens dull and sun-damaged skin and stimulates collagen production to ward off fine lines and wrinkles. It's also a powerful antioxidant, meaning it fights free radicals that could cause future signs of aging (which is why it's often a core ingredient in anti-pollution skincare regimens). But let's take a step back. What exactly are free radicals? 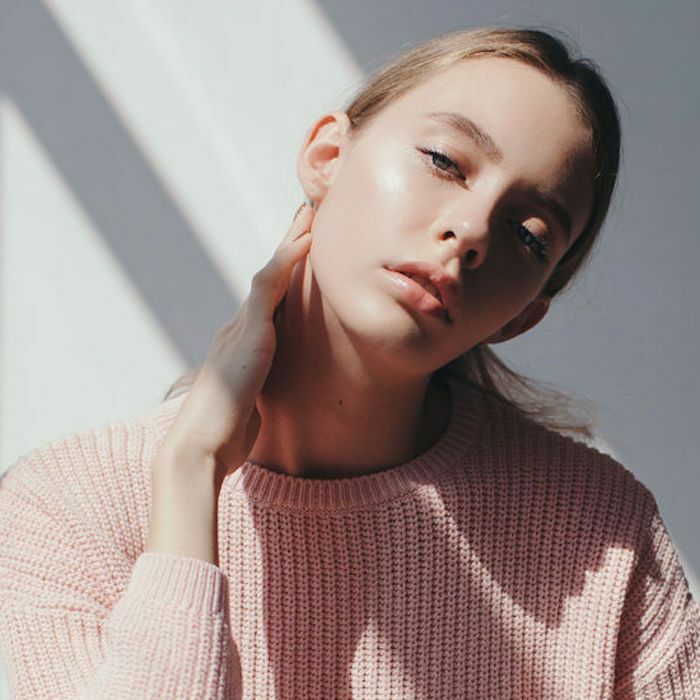 It’s a term that’s thrown around a lot in the beauty industry, yet for many of us it's unclear how they affect our skin or why they're so feared. According to celebrity esthetician and skincare expert Renée Rouleau, free radicals are unstable electrons that attack our healthy cells, causing signs of aging to appear. "It is widely believed by scientists around the world that one of the main reasons we age is because unstable electrons in molecules (called free radicals) attack healthy cells and change their composition, which causes them to no longer function the way normal, younger cells do," she explains. So in order to stave off aging, we need to stave off those villainous free radicals. That's where vitamin C comes in. Its effect is immediate and visible, at least according to a viral photo and video, respectively, that are currently circulating the Internet. First, we must understand exactly how free radicals work to damage the skin: There are three types of free radicals, but Rouleau is mainly concerned with the reactive oxygen species (ROS). "We are exposed to ROS from the air we breathe (oxygen), cigarette smoke, UV sunlight, stress, and smog," she says. The effects of ROS are no joke: They damage the dermis of the skin and alter DNA, the moisture barrier, skin texture, color, and cell functioning. As you can plainly see, the side of the apple that was coated with the vitamin C serum didn't oxidize at all. 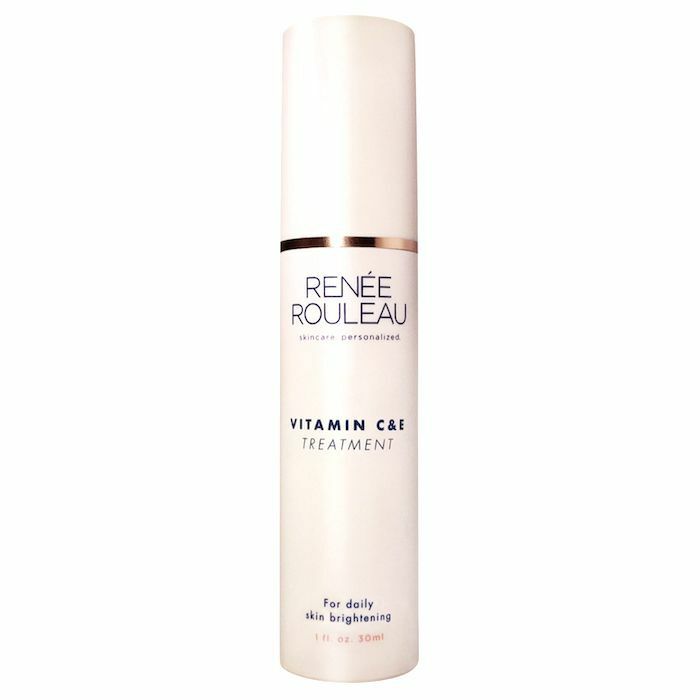 "This shows how topical vitamin C can prevent oxidation and therefore slow down the visible appearance of aging," Rouleau says. She notes that lemon juice would have the same effects, as lemon (like most other fruits) contain high levels of antioxidants. However, putting lemon on your face is never a good idea. It might provide your skin with antioxidant benefits, but it will do so at the expense of insanely irritated, dry skin (seriously, please don't put pure lemon juice on your face). Rouleau's photo is enough to make us want to slather our faces in a safe and effective vitamin C serum. That urge is only exacerbated by this next experiment, which is based on the very same principle as Rouleau's. Just like hers, it involves a vitamin C serum and an apple—only this time you get to see it work in real time. Keep scrolling to see it for yourself. The video was posted by @gothamista, a popular skincare enthusiast and beauty vlogger, for the purpose of an Instagram giveaway. In it, she used SkinCeuticals C E Ferulic ($166), which just so happens to be one of team Byrdie's all-time favorite serums (seriously, make sure you check out our full review of the skin-saving product). She starts out the experiment by applying a couple of drops to one half of an apple. After time goes by, we see that the other side of the apple is brown while the serum side is bright and fresh-looking. The serum had effectively protected the apple from oxidizing. Here's where it gets really interesting. She then applies a few drops of the C E Ferulic Serum to the browned half of the apple. After enough time goes by, it visibly reverses the oxidation damage of the apple, taking it from brown and over-ripe to fresh and bright. That, our friends, is the perfect demonstration for the brightening, preventative, and rejuvenating effects of vitamin C. Not only does it protect our skin from the oxidizing effects of free radicals, but it can also reverse some damage that's already there. "If you’re not using one, it’s definitely time to step up your anti-aging game and give your skin some serious protection," says Rouleau. "Applying a vitamin C serum topically to the skin can essentially keep your skin from turning brown, as well as make your skin look brighter, fresher, with a youthful glow." She recommends reaching for the vitamin C serum from her eponymous skincare line. The Vitamin C & E Treatment ($66) contains a safe and stable form of the ingredient, along with ultra-nourishing vitamin E to give you smooth, youthful, glowy skin. We could never forget the Skinceuticals serum. 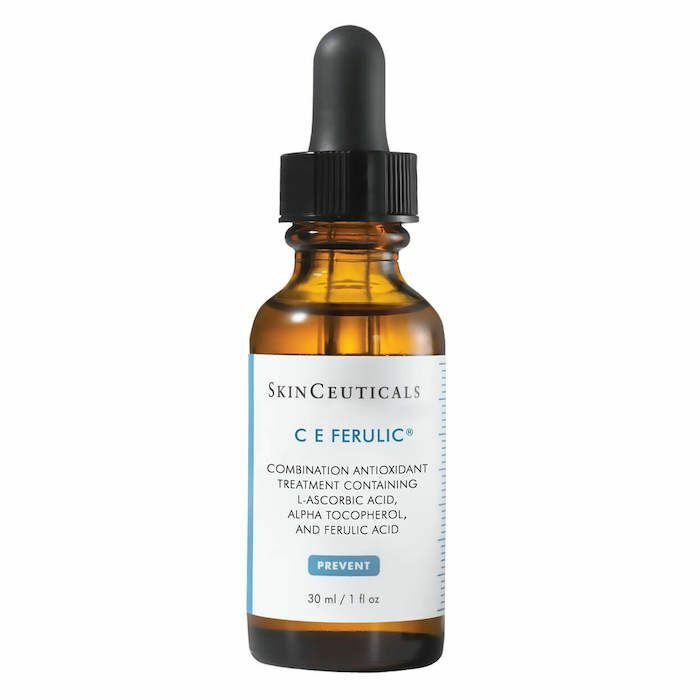 Along with vitamin C, it's also formulated with vitamin E and ferulic acid. The former smoothes the skin and the latter enhances the protection powers of the vitamin C while addressing dullness and loss of firmness. To see more of our favorite vitamin C serums, click here. Then, check out the super hydrating skincare ingredient showing up in products everywhere (it's not hyaluronic acid).